At the request of the Ukrainian investigation, law enforcers of Azerbaijan have detained a 29-year-old suspect of beating MP Mustafa Nayyem of the Petro Poroshenko Bloc faction, an extradition procedure has been launched, Ukraine's Interior Minister Arsen Avakov has said. "As we remember, the incident took place in Kyiv on April 30. Three participants of the beating were informed of suspicion of group hooliganism. The court has already chosen a preventive measure. The fourth participant ordered a plane ticket 20 minutes after the incident and in 2.5-3 hours left for Baku. At the time of crossing the border, his identity was not yet established, but he was reported in absentia a suspicion on several counts and put on the wanted list. Today, he has been detained by our Azerbaijani counterparts," the Interior Ministry's Communications Department quoted Avakov on Saturday. The minister recalled that the 29-year-old man, who beat the lawmaker, was detained by law-enforcement officers in Kyiv on May 2. In turn, Deputy Prosecutor General of Ukraine Yevhen Yenin said on his Facebook page that after the detention of the suspect Saitov in Azerbaijan, the local court will select a preventive measure against him on Saturday, May 5. "The request for Saitov's extradition will be sent shortly," he added. As reported, Nayyem was attacked by unidentified individuals as a result of a road conflict in the center of Kyiv on Monday, April 30. As a result of the beating, the lawmaker was diagnosed with a jaw fracture and a concussion. 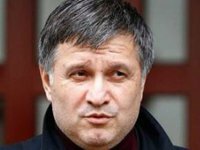 Nayyem said on May 1 that one of the road hooligans who participated in the attack on him had managed to leave Ukraine and flown out to Baku. On May 2, Kyiv's Shevchenkivsky District Court remanded three suspects involved in the assault on Nayyem to home arrest.